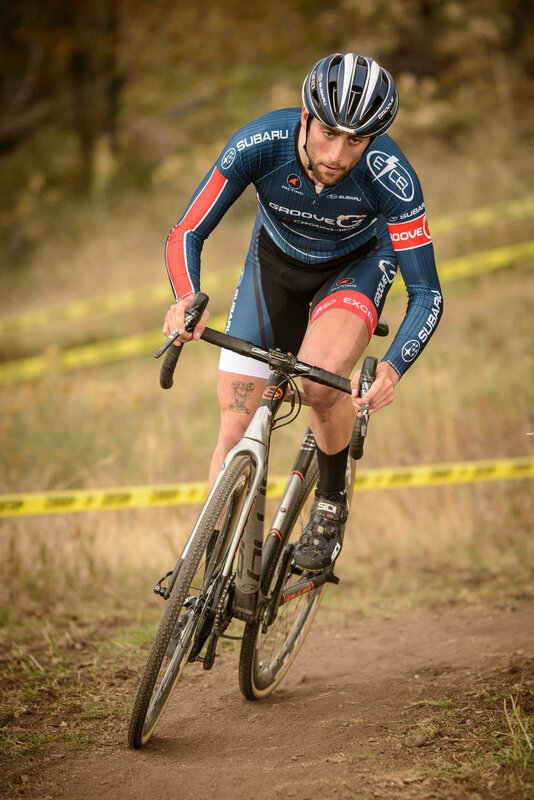 Chris was the mechanic at CX Nationals for current and former Cap City racers Jen Malik and Josh Direen. We are going to talk to him about the gritty details of the course, equipment and pit action before we hear from Jen and Josh on their race performances. Can you give us a little bit of insight into the course? There was a lot of speculation early on as to what the course would be like and if it would live up to the previous nationals courses of Hartford, Asheville or Austin. I would have to say this course did exactly that. 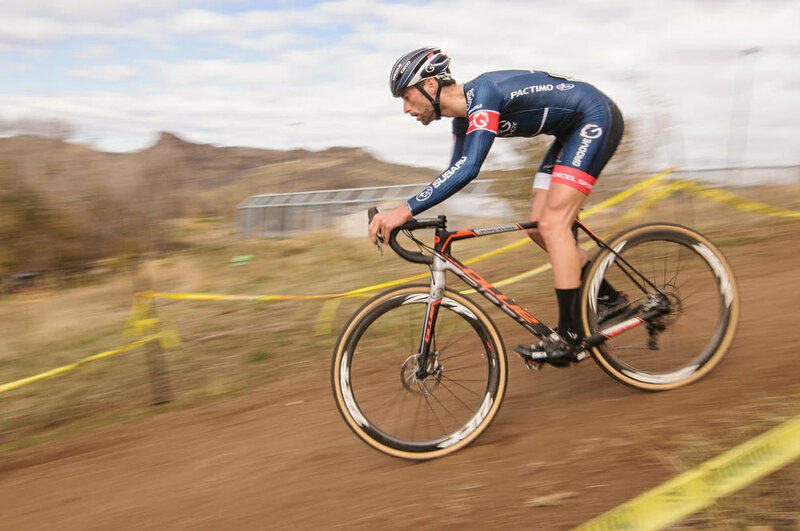 It is hard to choose the best out of the most recent courses because they are all so different, but that means USAC is doing a really good job in choosing venues that represent the true variety of CX that exists in the country. A lot of people speculated that there might be snow because it is so close to Lake Tahoe, at about 4,000 ft in elevation and in 2017 when Nationals was in Hartford there was snow cover on the ground at the same time. But, as luck would have it the weather was more or less dry with a little bit of freeze-thaw to deal with early in the day. The first half of the course was deceptively power hungry. Just like the other Nevada course, CrossVegas, the first half of this course was your typical grass field that looked pretty similar to Smith Farms. Although the grass was sod, rather than natural grass, like you see around here. Sod usually feels like you are riding over velcro and most riders will opt for file tread tires on that type of grass. Coupled with the amount of power it took to conquer the first half of the course there was generally a headwind on most of the straightaways on this half of the course throughout the entire week. Although the appearance of this half of the course was Smith Farms-esque it had 5 chances for dismounts unless you had been practicing your CX skills in earnest all year long. 2. A ditch that many amateurs struggled with but a majority of the men and a few of the women (including Jen Malik) were able to jump. (You can see the struggles through the ditch from the Men's Single Speed race below). As the week progressed some were able to just ride through the ditch, albeit it was still slower than jumping it. 3. 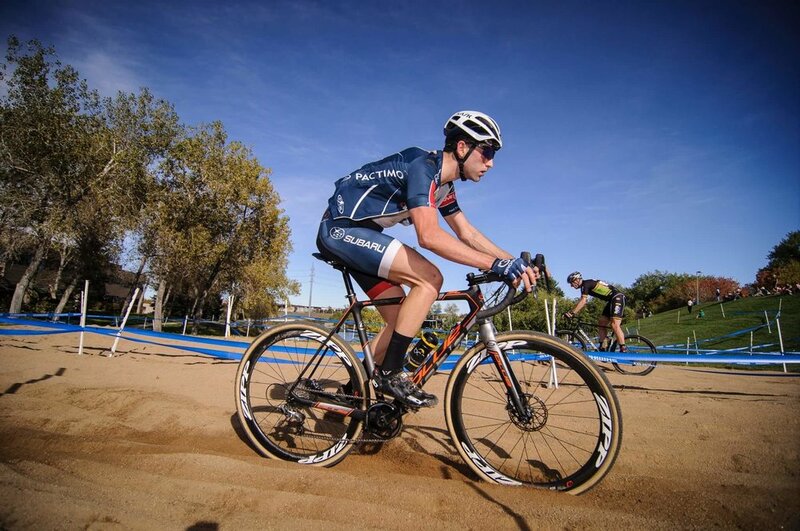 A Sandpit that you dropped into from a higher level (which according to USAC/UCI rules, should be illegal) immediately into a left-hand turn and the sand grew progressively deeper as you made your way to the exit. 4. A set up "Belgian steps" which were a series of steps in a row that you may have seen people like Ellen Noble riding, but it was a wash as to if running or riding was faster. 5. Finally, after you made it through all of these features you arrived at the barriers, which were very tall and saw even forced Stephen Hyde off his bike. After that, you would pass pit entrance #2 and head off to the more mountain bike style half of the course which featured a pro only run-up and then several treacherous MTB and off-camber descents. The off-camber descents had quite a few exposed rocks by the end of the week and would lead to a majority of the flats you would see in both the men's and the women's elite races. Following the decent, you would head off around the lake, through the dinosaur playground before heading to the finish straight. We are going to ask the most asked question in CX, what was their tire pressure and what tread patterns were people running? 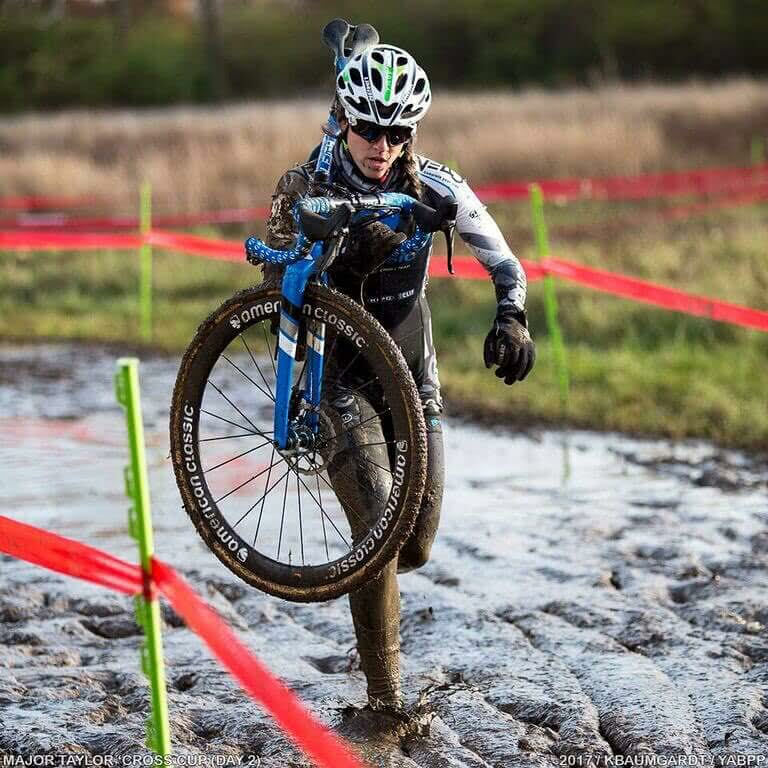 At the start of the week, you would have seen a lot of people running a mud tire that had not as much rolling resistance - something similar to a Challenge Baby Limus, Vittorria Wet or Donnelly PDX. The course was drying so much that by the time the Elite level races were held most racers were choosing were a mid-level tread like the Challenge Griffo, Vitorria Mix or Donnelly MXP. But, probably my favorite thing to geek out about is the tires the podium finishers and top 10 riders had picked. They went even a step further than most other racers and ran a tire combination that our favorite CX clinic coach, likes to call the "mullet." Where you see a fast rolling mud tire up front and a file tread in the rear. This was specifically the case for racers like Stephen Hyde, Katie Keough, Katie Compton and Ellen Noble. You saw the clear advantage these racers had over the rest of the field by having the lower rolling resistance through the first half of course which had the spongy sod, yet they were still able to push it hard in the corners and on the back half of the course on the off-camber descents because they were running tires with bigger side knobs. As far as tire pressure goes, that is very specific based on rider preference and their riding style, tire manufacturer, etc... but our riders were running higher pressure because of the drier conditions, exposed rocks on the second half of the course and sidewalk lips that you had to bunny hop. You were in the pits during some of the most exciting races. Tell us a little bit about the action there? As a dry course goes generally you don't have much action in the pits, but this was opposite of a normal race so there was a ton of action. There wasn't a lot of bike cleaning going on that you typically see in a wet race, but there were more mechanical issues than I have seen all year. The pressure was definitely on for the mechanics at this year's Nationals. Jen suffered a rear flat midway through her collegiate race, which was an easily solvable issue. In her Elite race, on the second to last lap she crashed on the off-camber and broke the outboard tab that holds the shift lever into the shifter body. Luckily, she was running mechanical shifters, so mechanically the shifter still worked, but there was no way to hold it up in its normal position. Normally, you would carry a spare shifter with you and make the switch right on the spot, but we didn't have the luxury of spare parts for this race so we had to be ingenious. There is a saying that duck/duct tape fixes anything. Thanks to the ingenuity of Ashlee Weimar (the ER Surgeon/Mechanic for Kevin Bradford Parish) we fashioned a piece of tape that was just strong enough to hold the shifter in place, allow the brake to be used and give Jen a bike she could ride if need be to finish the last half lap of the race. Definitely, not a fix you would prefer, but when time is of the essence coming up with solutions like this to keep your rider in the race are essential. Josh on, the other hand, was mechanical free during the race but snapped his steer tube in half just prior to the race which left us scrambling to find him a "B" bike. We ended up scrounging up a bike from a teammate who had raced earlier in the week in one of the master's categories. The only thing I had to do for Josh was take off an unneeded water bottle cage and lend some positive words of encouragement from pit row. Others in the elite races weren't so lucky. Cassie Maximenko broke her shoe and was forced to one-leg pedal for nearly half the course. Heavy hitters such as Laura Winberry, Sunny Gilbert, Crystal Anthony and 5+ men suffered flats from the exposed rocks on the second half of the course. All in all, it was a very exciting women's elite and men's elite race even as a mechanic. 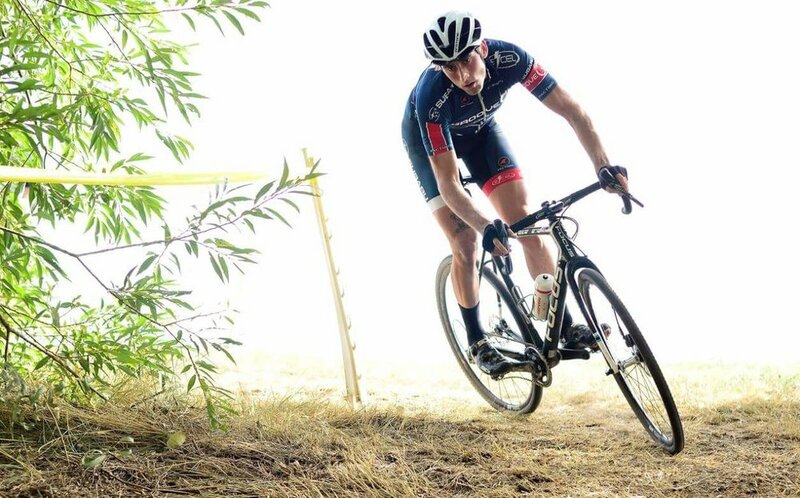 This year I will be competing in the D1 (Club) Collegiate National Championship on Jan. 10th for The Ohio State University Cycling Club and in the Elite race on Jan. 14th for the American Classic Pro Cyclocross Team. I am usually very adamant about not setting placement goals but instead focusing on the components that lead to desired finish results... but the collegiate race is different. I will still have my standard goals of maintain my position at the start, consistent or negative split laps, and be smart tactically but I also have a big goal in mind too. I’ve had this goal ever since I evaluated what I wanted my goals in the sport to be. And that goal is WIN. I believe that if I have a clean race and perform how I have been all season that it is entirely possible. Last year I got my first taste of the Nationals podium and I have had my eyes on that top step all year. For the Elite race, I have far more conservative but equally as important goals. I will either be starting on the 2nd or 3rd row and I plan to put that Euro start experience to good use! For this race I would like to make the initial split and then go for broke holding on as long as I can. My performance at Nationals last year was less than desirable so I am hoping to improve upon that. It would definitely have to be the Big Run short track race a few years ago where it was pouring rain and super muddy. I had originally gone to the race to help volunteer and then somehow ended up texting a bunch of ladies to come race in the mud. It was amazing! I ended up borrowing a bike, racing in white jeans (they did not survive the mud ha) and a t-shirt, and having an absolutely ridiculous time. Afterwards we all went out for tacos with everybody who dared brave the weather! Cap City has taught me how to be a more grounded athlete and also the importance of a Positive Mental Attitude (PMA yo!). We aren’t a huge group and the leaders of Cap City Collective wear many hats and sacrifice a lot of their time/personal successes so that they can foster an environment for other people to achieve their dreams and have an amazing time doing so. 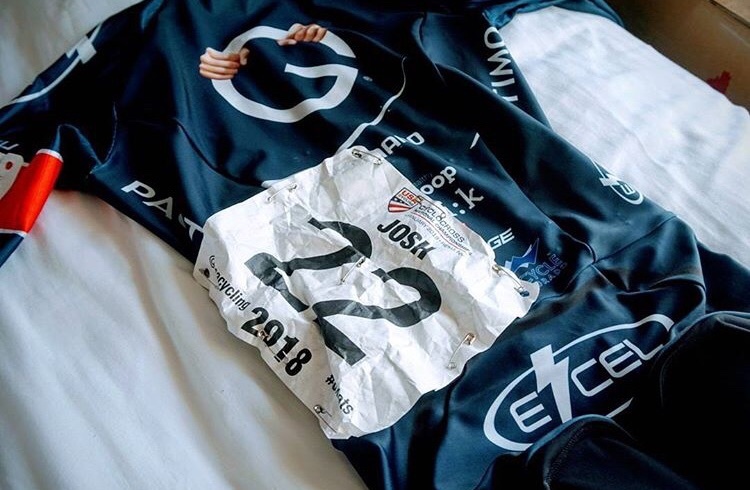 As an athlete that has the luxury of showing up to races (sometimes even the day before) with everything ready to ride it is very easy to forget the year of planning that went behind a days worth of racing and teaching. Being able to see and help be a part of the Cap City Collective community is a welcomed reminder of what it takes to foster a successful and welcoming cycling community. This season I was able to accomplish a lot of my long term goals that I made a few years ago. I was selected to race in the domestic World Cup races, earned my first UCI podium(s), and was able to go race in Belgium. My absolute favorite moment of the season was while I was racing in Europe, Spencer Hackett tweeted at the announcers and they announced my name over the live stream! While simple, it reminded me how lucky I am to have such a close-knit and hella supportive Cyclocross family back home in Columbus which gives me all those warm and fuzzy happy feels! Take it all in! Once your race is done (and you cool down) go back out and find a section to watch and cheer on other riders or find a group of people cheering and join them (you will pretty much instantly make new friends this way too ha!). Also this gives you a chance to look at how other riders are getting through sections that may have been difficult in the race so you can learn for next time! I won't be racing this year at Nationals. This will be the first year in a long time that I haven't lined up. Instead, I will be acting as the soigneur, mechanic and race day support for racers Jennifer Malik and former Columbus, Ohio native, now from Denver, Colorado, Josh Direen. I have been working in the pits for many riders throughout the years. In 2017, I was Jen's full-time pro MTB mechanic for Bikefettish - Paradise Garage and worked in the pits on and off for her while she rode for Granville Brewing - Stanridge Pro CX team in her first professional season along with Katsu Tanda. I have also served as a moonlight mechanic for pro riders like Yannick Eckmann, Katie Arnold, Jena Greaser, Rebecca Gross and most recently Merwin Davis. 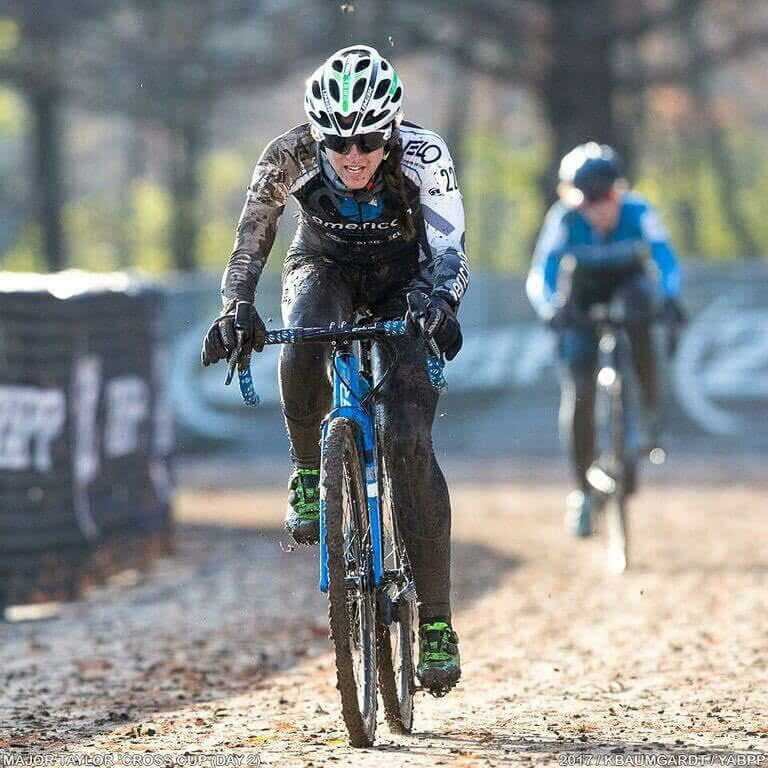 Jen will be competing in the collegiate club national championship race for The Ohio State University and in the elite women's race for American Classic Pro Cyclocross Team. Josh will be competing in the elite men's race for Groove Subaru Excel Sports Team. Both racers are coming off of probably their best seasons they have ever had, so I know their goals are lofty, but I will let them speak for themselves as to where they would like to finish. As any race day mechanic, your goals are to have a race where you are needed as little as possible, but we are always prepared for the worst. At the professional level mechanics are all about helping their rider get in and out of the pits as fast and efficiently as possible. We can be the difference between winning, just off the podium or even dead last. The pits at these type of races can be even more stressful than just being out on course racing, so it will definitely be a time of focus. A lot of people ask why I take so much stuff to the pit when the rider already has a second bike and my answer is always, I would rather make one extra trip to the pit with all of the extra gear than not be prepared and be the reason my rider isn't able to do their absolute best. My toolkit will be comprised of pretty much every major tool you would find in a bike shop that is easily transported. We generally like to take spare parts too and just do quick swaps if necessary. For instance, I will have spare shoes with cleats, pedals, saddle/seat post pre-assembled, quick links/chains, wheels with cassettes and tire pressure already set, etc..
Jen is usually supported in CX by her pro mechanic Miki Paulauskas, who Robert Marion may give a hard time, but is truly one of the best and most reliable in the business so the bar is going to be set pretty high for me. State Championships at Big Run Park in Columbus. As someone who has spent countless hours (most of them by myself or with my right-hand-man, super volunteer, Allen Cooper) cleaning, prepping, planting trees, clearing mulch, setting courses, etc.. It was really gratifying to see one of our best Cap City Cyclocross courses ever host the state championship. Our community is strong, vibrant, and extremely welcoming to new riders, volunteers and businesses. We have had more new faces in 2017 than ever. The practice series is going strong, our race numbers are growing and the local community is hanging onto its mantra "PMA No Jerks." Heritage Cycles joined us as practice title sponsor in 2017 and is a bike shop located minutes away from Big Run Park in Grove City. Columbus Brewing Company loves giving back to the community through our race series and is our current title sponsor and Kenda, which is headquartered right here is relaunching their role in the CX community in the upcoming year. Westerville Bike shop is even back in the fold, providing neutral mechanical support in the pits. I am already looking forward to 2018! Spencer Hackett adding a new venue to the overall series. The Red Kite Coaching "Beach Party CX" was an awesome addition. We were lacking a course that featured sand since Alum Creek SP was dropped a few years ago and it looks like it is for the better. Buck Creek SP, the home of the race, has the potential to be one of our premier venues. The series has grown by leaps and bounds over the past few years. I have been to almost every major venue across the entire country and would put our top venues up against very best in the country. I don't think we can say, we don't have the necessary venues to run a premier CX series compared to the best in the country anymore. Now it is our job to get the word out and grow our local community. As a racer who is going to nationals or is thinking about going to nationals in the future (2018 will actually have two National Championships, because it has been moved to December and will be in Louisville, KY this cpming December) - don't put all your eggs in one basket. What I mean to say, is don't determine the success of your season based on a one-day race. Yeah, everyone wants to go out there and "win" a national championship, get on the podium or do really well. I don't mean don't target Nationals or other large races but, they are only a small part of your entire season. Rather than pin all your hopes on just one race (where anything can happen - mechanical, illness, etc..) look at the entire body of your race resume for the year and use that as a measuring stick for how the year went. If you win, podium or do well at nationals then that is just an added bonus. As far as other advice attend the Lady Gnar Shredders CX Clinic in August and come to CX practice. You will be amazed at all of the knowledge out there and how much actually goes into having a successful season. It is more than just pedaling your bike. We added multiple new features at Big Run in 2017! 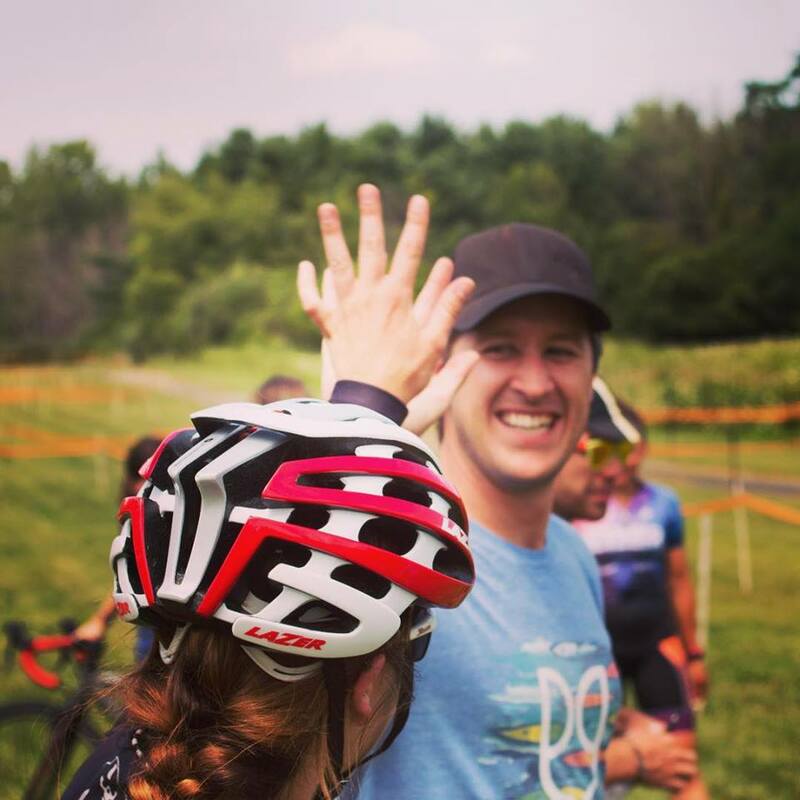 We Are The Collective is a blog that is dedicated to highlighting the success of the central Ohio Cyclocross and MTB community, those who support us, what's coming up, what has happened and other cycling related things. Before we launch our blog we wanted to give everyone a brief background on who we are, what we aren't and how you can help. Cap City Collective 501(c)3 is a non-profit organization formed specifically out of the need to develop a full-time off-road cycling training/racing facility in Columbus, to meet the current demand and also assist in the growth and development of the sport. It is comprised of three experienced individuals each with a strong tie to the local cycling community. Through the development of such a racing/training facility, we hope to develop a bike park that is capable of attracting the best riders/racers in the country to Columbus, Ohio by way of world-class events. Sustainability of this project can be met through the creation of daily programming, the establishment of a professional and/or youth development team and stimulating the growth of non-competitive and competitive cycling in the city and the region. Who we are - We are more than just three individuals, we are every cyclist, every club, every business that supports cycling. All clubs in Columbus including Cap City Cross are members of Cap City Collective. Note: all remaining funds no used for permit costs, course material costs etc..are also donated to Cap City Collective. Wait, I didn't know about this are you sure my club is involved? Yes! Since we started in 2012 every single club in Columbus has had a member been involved in some way or another. So, what does this Cap City Collective do (what we do)? Do you charge your member clubs fees? No! We operate as an organization designed to bridge the gaps between clubs and unite the cities cycling community into one "tribe" that works for the benefit of all cyclists, clubs and other cycling related organizations. We rely solely on fundraising from race events, practices and clinics and donations to fund our organization. So, is Cap City Collective and Cap City Cross the same thing? No! Cap City Collective is the non-profit that works directly with the city of Columbus to secure permits, develop Big Run Park - Derby Hill into a full-time bike park (CX and MTB), hosts weekly CX practices, assist with clinics where we develop CX racers from beginners to World Cup level professionals, such as Jen Malik. We aren't done there! 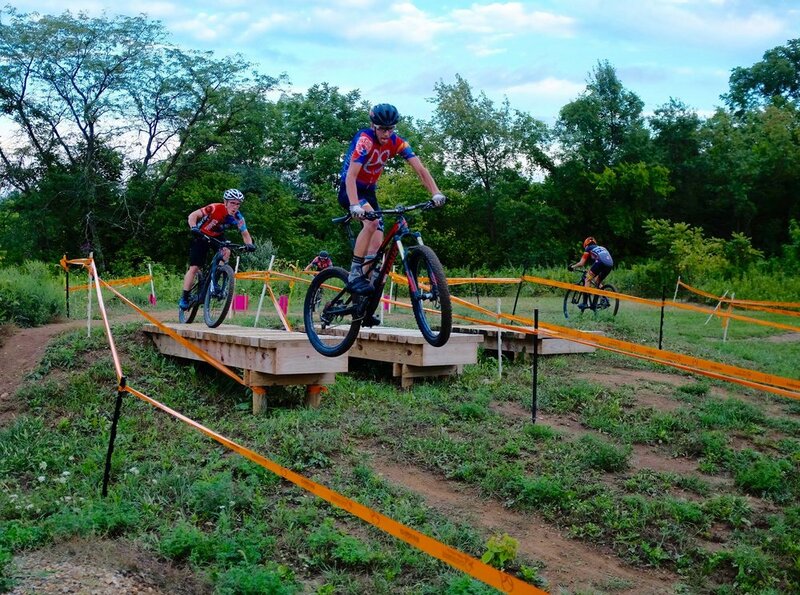 We also host MTB events and are working very hard with groups such as COMBO, AOA, City of Columbus Rec. and Parks, Columbus Metro Parks (Chestnut Ridge), etc...to help bring you World Class trails and MTB events in or around Columbus. What about the kids? Don't worry we are working towards that as well. Our two main goals are to develop Big Run Park as a full-time bike venue and to create year-round programming that supports the development of youth cycling. Example: NICA MTB League between Columbus schools, weekly Kids on Bikes events, and a junior development team. What about Cap City Cross? Cap City Cross is the group that is the series organizer for all of the Columbus area CX races you participate in - they too are also a member of Cap City Collective. How do I help? If you work for a business who would be interested in sponsoring a venue/event/clinic or practice series have them contact us. Volunteer at CX practice or one of our CX or MTB club driven clinics, volunteer with the Cap City CX or MTB series or Grandview Crit, join COMBO and help out with trail days, get bring your friends to races even if it is only to spectate, help spread the word on social media by reposting our posts, our sponsors posts, your clubs posts, Cap City CX's posts, and COMBO's posts. A strong community presence on social media is key for us to succeed. Say thank you to the City of Columbus Rec. and Parks officials via email and on social media. Most importantly, buy product from the sponsors that support our races and events! Become an outspoken member of the community and get behind the groups that support us. Chose to take your bike to or buy from Heritage Cycles, Paradise Garage or Westville Bike Shop, buy coffee from Brioso Coffee, purchase Kenda MTB tires and when you are at a restaurant or bar choose to drink Columbus Brewing Company beer.